Te Wheiao is the space between the Night, Te Pō and the world of Light, Te Ao Marama. When sky Father and earth Mother were separated there was a period of time before the world as we know it emerged. Creation energy was stirring and their children were between chaos and calm- creating the laws of nature and hanging the stars, moon and sun. Te Wheiao, is a collaboration between artists Nikau Hindin and Nanea Lum. Nikau is of Ngāpuhi and Te Rarawa descent from Aotearoa, New Zealand. Nanea is born and raised in Kahaluʻu, Oʻahu. Nikau and Nanea met in Painting class at the University of Hawaiʻi, five years ago and have remained close ever since, intermingling and exchanging their Māori/Hawaiian cultural roots and creating a new wave in the wake of their ancestors. Born on the same day, they are like Nanamua and Nanahope, the sister stars Gemini, on parallel paths, always rising and setting together. The power of bringing together indigenous peoples is reflected in the ease and excitement they find in collaboration. 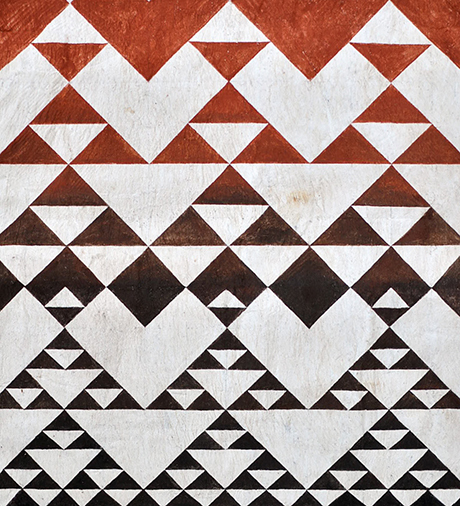 To reinvigorate the practice of making bark cloth in Aotearoa, Nikau has returned to Hawaiʻi to immerse herself in the Hawaiian kapa making tradition. In turn Nanea has travelled to Aotearoa to draw solidarity from the cultural grounding of te ao Māori. 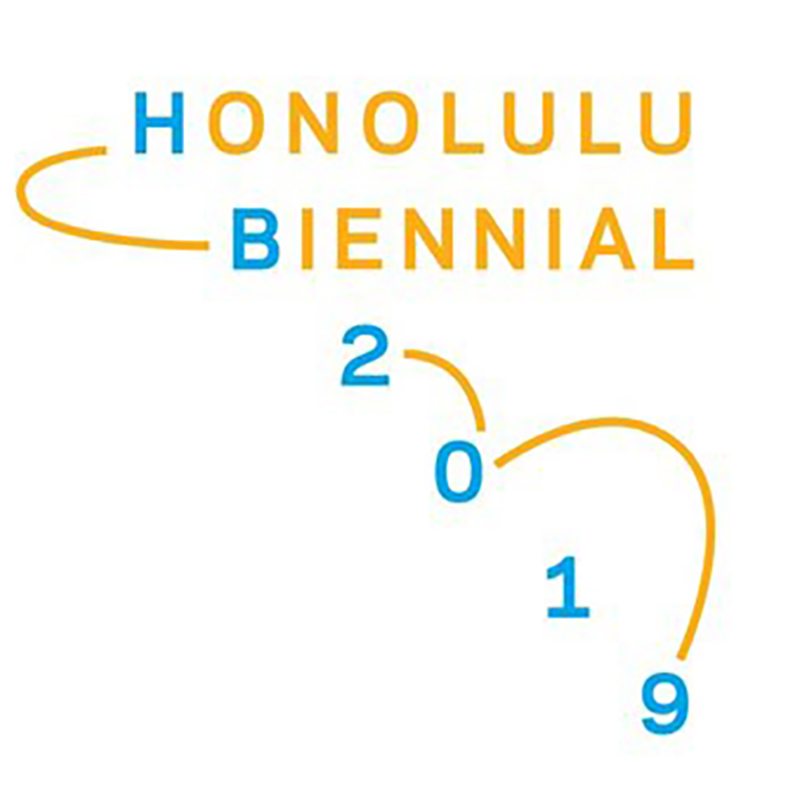 Nikau will be showing kapa she has beaten and painted with alae, earth pigments and Nanea is showing her oil paintings that explore the nuanced process of making kapa. Their collaborative painting, Te Pō, contains the many phases of the Night that came before the glimmer of dawn. This painting represents Te Pō-nui (the great Night), Te Pō-roa (the long Night), Te Pō-uriuri (the deep Night), Te Pō-kerekere (the intense Night), Te Pō-tiwhatiwha (the dark Night), Te Pō-te-kitea (the Night in which nothing is seen), Te Pō-tangotango (the intensely dark Night), Pō-whāwhā (the Night of feeling), Te Pō-namunamu-ki-taiao (the Night of seeking the passage to the world), Te Pō-tāhuri-atu (the Night of restless turning), Te Pō-tāhuri-mai-ki-taiao (the Night of turning towards the revealed world). Materialising from its depth is a pattern called purapura whetu, that represents those who have come before us and turned into stars. The painting, Te Pō, grounds the context of the show as the audience stands in the world of light, and experiences the different phases of darkness. The artists’ individual works represent the space in-between, the formless and form, restlessness and order, Te Pō and Te Ao Mārama. Te Wheiao is important because it reflects where Nanea and Nikau are now as artists, still in a state of learning and researching; they are almost breaching into the world of understanding. Nanea is about to enter into her Masters program and Nikau is about to return home to finish her Masters and take back the tools she has learned here about kapa making.